My Favorite Things: Annette’s Organizing Product Picks for 2019! 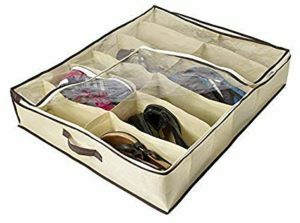 Although we don’t always need specific organizing “products” in order to stay organized, sometimes they are hard to do without! At this year’s Philadelphia Home Show, I will be talking about my favorite organizing products. Items that I have used with clients and in my own home. In this blog I will share just a few of the items I’ll cover at the show. 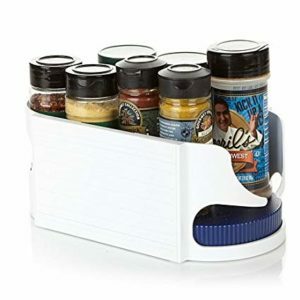 The “Roto-Caddy” is my absolute favorite spice cabinet solution! These double-turntable devices allow quick access to all your spices. They are space-saving and stackable. I recommend them and use them in my own home! 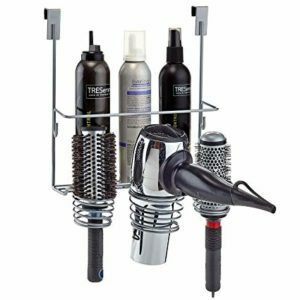 Haircare products and tools can quickly turn an organized bathroom into a hairy nightmare! Try using an over-cabinet hanging organizer to tame the tangled mess and keep your bathroom in order. It’s great to have extra hangers on hand but a headache trying to deal with the wiry chaos they can create. This inexpensive and simple solution from the Container Store will do the trick! 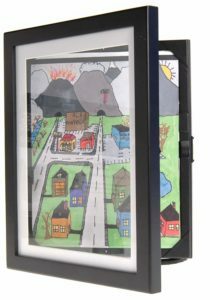 Help your kids (and yourself) decide which of their artwork is frame-worthy! Let them choose a picture a month to display. Save the others behind the rest in a photo storage frame like this one. 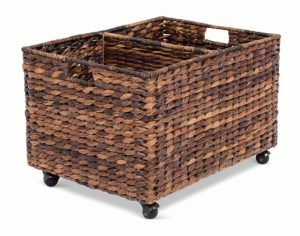 Rolling storage bins already on wheels or ones you can add castors to are great for repurposing around the home. Use as a toy bin when the kids are young or when the grandkids are visiting. 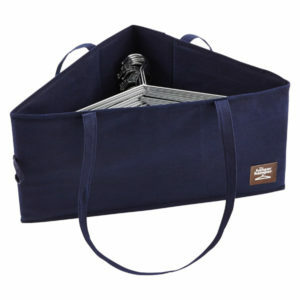 Re-purpose for extra linens, magazines, files or supplies later on. 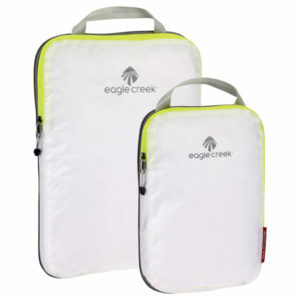 Travel cubes that can organize your luggage are great, but these are the BEST! I love these compression packing cubes. sold at the Container Store. They’re sturdy, made from a parachute-like material. I use one or more of them whether I’m traveling for an overnight or a week-long trip. Under-bed storage: you love it or you don’t. Some people will not have anything under their beds. Others …well let’s just say it can be scary! If you are going to store anything under the bed, just be sure that you put things into covered storage containers. Get rid of years of disorganized shoe boxes and finally be able to find the photos you’ve been looking for. 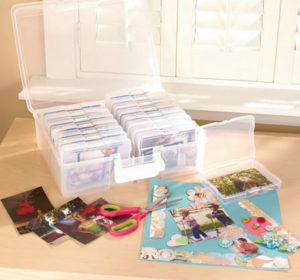 Start out with a sorting box designed specifically for photos and begin the process of sorting your precious memories! Standing desks have become the popular solution to long days of sitting in our offices. But, these transforming desks can be quite pricey. If you’re interested in trying out a standing desk for yourself but are reluctant to drop hundreds of dollars, go for a solution like this one. Try using it on your desktop. 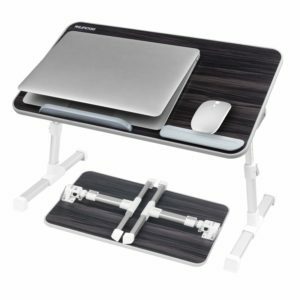 If a standing desk isn’t for you, this will still be useful in any other space in your home or office! 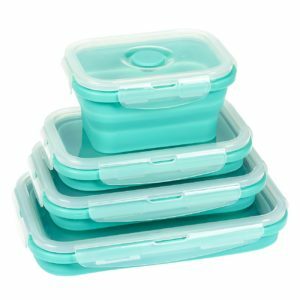 Fighting to find a way to store plastic containers can be a never-ending battle. In addition, we are finding out more and more about the hazards of using plastic for food. These collapsible storage containers are FDA compliant and BPA-free. 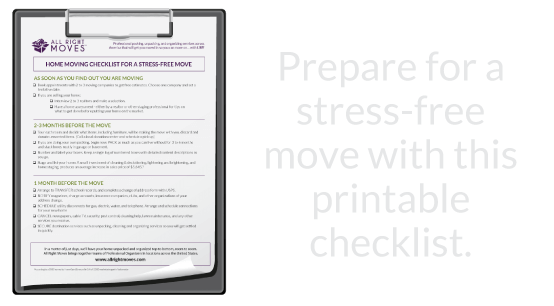 Need help organizing your new home? 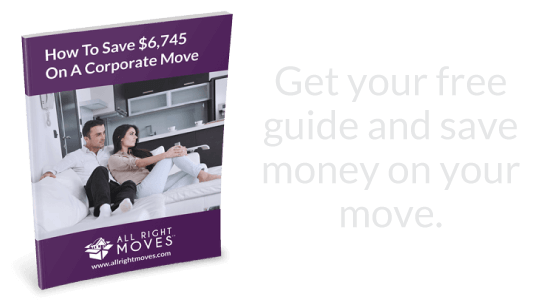 Contact All Right Moves. 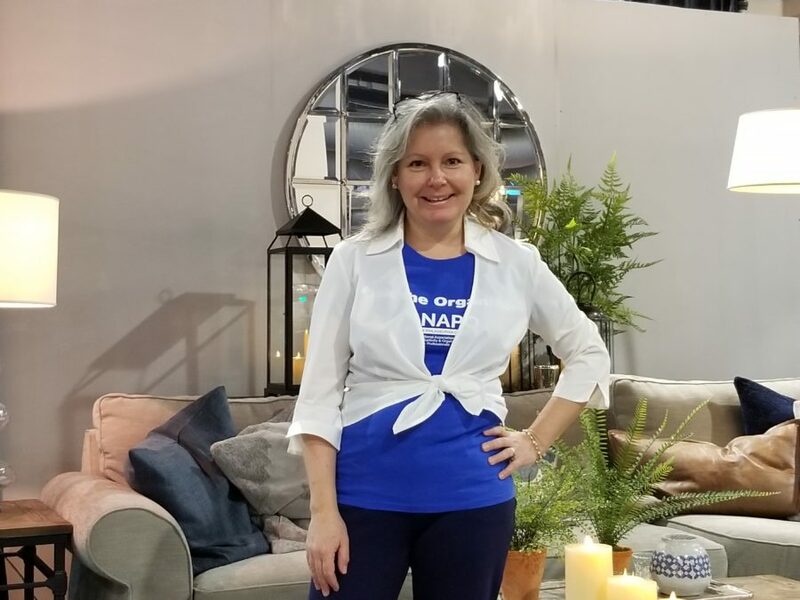 If you travel to the Philly Home Show on Saturday or Sunday, January 19th or 20th, please stop by and say “Hello” to Annette! I see Christmas gift ideas! Thank you!! !